He used to be just Herr Eisenstein, Willy Eisenstein. You know, his father made those tube things. He gave that up and now he is associated with Beheim and Ploschke. Good people. I‘ve known him since he was this high… A bright kid. His wife is a Wüstefeld… Yes, that’s Willy Eisenstein. And on the telephone he was known as Herr Eisenstein. And in the office, Herr Eisenstein. And in the Town Hall, Eisenstein, Willy. Everywhere, Herr Eisenstein… And now, all of a sudden, he’s a company president. How does one become a company president? Does one take an exam? No, there’s no exam. It’s one of the few jobs in Germany for which there is no exam. We have gardeners whose employers believe that you can’t prune roses without a high school diploma; our turners and fitters have to have an apprenticeship. Every self-respecting trade guild insists that its members have higher education qualifications, even though they’re not much fun… But there’s no exam to become a company president. So how does one become a company president? Does the Imperial Association of German Company Presidents deliver a diploma to the new member’s home? Does a male voice octet sing, “Praise the day on which you appeared to us. Di-dum, di-dum, di-dum” in the courtyard? And do the eight company presidents who have sung then and get a beer and cigar each, in the new one’s scullery? How does one become a company president? Nominated? Promoted? Anointed? How does it work? How does one do that? How one becomes an ordinary company director is already unclear, and a most remarkable biological process… Nature has many mysteries. But now, ‚President!‘ Does one have to prove that one has command of a troop of hard-case directors, has them under control and orders them around, like a general with his divisions? How does one become a company president? Does the title become accepted by virtue of habit? Or does Willy Eisenstein go to bed peacefully one Friday evening, just in his pyjamas, with no title, and the morning, the announcement is lying on the bedside chair, and a company president is lying in the most honoured bathtub? Oh, Lord, mysterious are your ways! And what happens if someone doesn’t address the company president with his title? Is he struck down by a piercing gaze? Does the General grab the paper knife and stab the insolent visitor in the unsuspecting breast? Does he call his private secretary and give instructions that the insubordinate one be thrown down the stairs? Nobody knows. And how long does one remain a company president? What is if, please excuse me, it is only a theoretical question, but just what if it came to a legal prosecution? Would the accused be referred to as ‚Herr President’? Or is he cast out of the ranks of the company presidents, demoted, berated, reduced to the status of the miserrima plebs? Brokesse oblige. One is either company president, or one isn‘t. I believe that not everyone can do it. It probably requires a sort of inner dignity, a cast-iron grip on one’s character, combined with a gentle hint of yearning for a doctorate manqué. One needs a title of some sort, after all. Without a title, one is naked, and a hateful prospect. 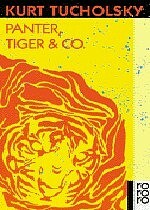 And Willy Eisenstein looked down at himself, and behold, he saw that he was naked, and that filth and squalor were just around the corner, so he covered himself, and clothed himself in the hair shirt of a company president (of the brand: Hunger brocade), and he looked around, and he saw that it was good. And when the hotel pages now call, ‘Herr President Eisenstein!’ in the hotel lobby, a company president rises to his feet and sallies forth. Little Willy is still there inside him: small, cute and the same as ever, peeping through the peepholes of his title. Does the world pay respect to the title? “There can sometimes be so many medals and titles“, said the privy councillor of Weimar, „that they bring the brothels into disarray.“ Which begs the question, how would a crowd of company presidents behave? Titles are used much more often in German language culture than English, even if the title is not aristocratic, religious or academic. Really great, thanks for posting. One (probable–but not certain, since I don’t have the German original to consult) correction: the last sentence should probably read “Which *raises* the question….” To “beg the question” means to render an implicit question a beggar by assuming, again implicitly, a particular definition–as in “Good is better than evil because it’s nicer.” The conclusion’s “Nicer” doesn’t clarify the premise’s “Good,” it just rewords it and assumes that the question of why good is better than evil has thus been settled. Again, thanks for posting. This site is awesome, and I don’t use that word lightly. PS Don’t bother publishing this if you don’t want to…. welcome, and thanks for your constructive criticism, which is always welcome. I am sure that you are technically correct, but I am going to take refuge in the coward’s response that my usage has become common, and is understandable. What I mean, as I am sure you realize, is to ‘raise’ the question and leave it tantalizingly hanging in the air, unanswered. ‘Raise’ alone doesn’t have the slight suspense of ‘beg’, even if ‘beg’ is historically and etymologically not quite accurate. Will you allow me that? It’s entirely up to you–and it sounds as if you have considered the alternatives. One nagging problem, though, is that–yes, it has become common, but–if it’s a mistaken use of the phrase, it makes the original philosphical concept harder to retrieve; it represents a draining of power out of the language, if that’s not overdramatizing; in addition, we’re talking about a term for a logical mistake, and some think we should try to keep such things free from anything that would dilute them. Forgive me for seeming to batter you about this, but I’ve given it some more thought, and I feel compelled–and I hope this doesn’t constitute me as a fanatic–to point out that the shift in meaning here is from one thing to its opposite: in the sense hazily assumed by common (mis)usage, we’re talking about raising a question, whereas in the phrase’s original sense, we’re specifically talking about *not* raising a question (ignoring it, in fact). 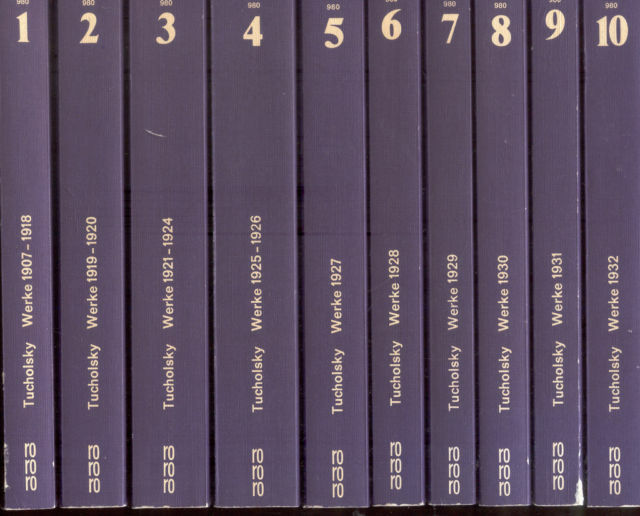 That’s somewhat worse than dilution, and I’m not sure it’s something that Tucholsky would be terribly enthusiastic about–although the only Tucholsky I’ve read is on your matchless blog, for which I’m forever grateful. I’ll try to shut up now. Peace. I respect your pursuit of correctness, but I have decided to stick by my mistake, because when I re-read the last sentence of the post, it corresponds to the usage with which I grew up (which may not be historically and etymologically accurate). I am confident that readers will understand it as I intended, and I think that it conveys the original well. It’s a second coward’s answer, and probably not to your satisfaction, but language changes, and it means what people understand by it. I have my own thresholds of irritation with some contemporary usage, but I frequently give up and accept, rightly or wrongly, that that’s what it means now. That doesn’t mean anything goes, but everyone picks their own battles, and I try to avoid fighting lost causes. 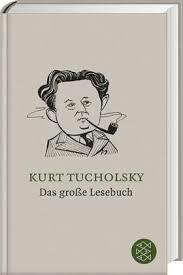 Tucholsky was a very ‘creative’ user of language, and was often happy to disregard rules to make a point tellingly. Karl Kraus is the unforgiving language purist, and as such much more difficult to translate appropriately. Please keep reading my posts closely and criticizing wherever you like. We don’t have to agree. I haven’t posted for a while because I am working on a couple of slightly longer texts.